Ancient Grudges is our rules set. In this tome you will receive all the instructions you need to create your own Warbands of Undead and go raiding against your opponents. The book will contain rules, scenarios, stories and painting guides. Everything you need to get gaming. There are 2 Gamer pledges available that contain everything you need to get started. 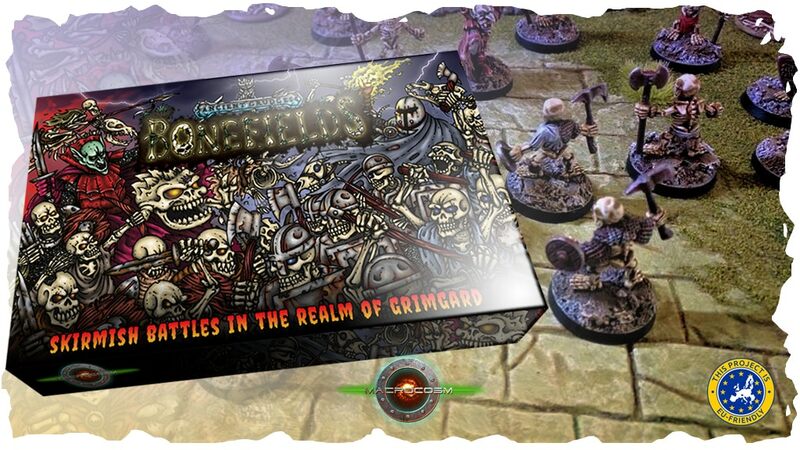 The £50 pledge which gives you 2 starter sets with the Wight and Fanatical Goblin and a copy of the rules. And the Deluxe Gamers edition £65 pledge which gives you 2 starter sets with the Wight and Fanatical Goblin and a copy of the rules. You will also receive the scenery set (walls and tomb) tokens and objective markers. RRP on all this individually is £95 so you are saving £30!!!! The Kickstarter is already over its funding goal, so it's on to stretch goals for the next 33 days.